Traditionally, block ice is delivered to wet markets and seafood providers. Block ice are crushed into granular form to store seafood. Nowadays, block ice is also used to make ice sculptures. Iceman’s Block Ice comes in 18 Kg, 35 Kg and 140 Kg variants in both clear and frosted. Additionally, many high end cocktail bars and restaurants have started using Clear Block ice to form crystal clear ice cubes for use in their drinks. The ice formed from these enhance the cosmetic appearance of the cocktails while also providing the benefit of melting slower, preventing your drink from diluting as fast. 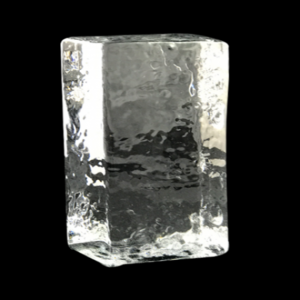 We have many more types of block ice that we are able to supply that are not shown on Polarmart, including colored variants. Do give us a call or shoot us an email should you be interested. Ice blocks like all ice are usually used for cooling purposes. These can range from chilling food to preserve their freshness to shaving it down into the local favourites such as ice-kachang. The options are endless and are only bounded by our imagination. An advantage that ice blocks have over other forms of ice is lies in its ability to stay frozen for a longer period of time. This is due to a smaller surface area of the ice being exposed to the warm air. Hence, it takes longer to melt, perfect if you are trying to stay cool in sunny Singapore. Apart from that, ice blocks can also serve ornamental purposes. For such reasons, clear ice blocks are usually used. Under a skilled pair hands, an ordinary ice block can be transformed into a spectacular sculpture that is sure to be a head turner at any social function.